- Made a fresh install SteamOS from the iso, went through the first time setup and encountered the Login issue. - Logged in a tty, added the beta repos, updated, etc and rebooted. - After reboot I could indeed login and enter the verification code. So it works, but need to be pushed to stable. But needs to tested on an existing running sysem "just looking out for existing Steam Machine owners". I personally stay with stable on my production rig but I also have a dev rig that I tinker with to. 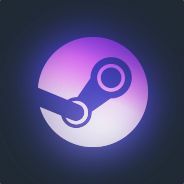 Would really like to see on here if anyone is having the same regrestions on stable to beta version of Steam OS. I also have a windows steam machine to so all that stuff with proton I am not interested in I like steam streaming it works pretty much as advert. And where can I download the dvd image of this version for systems with BIOS? Anyway to download a Brewmaster Beta ISO?? I have a Raven Ridge APU and the SteamOS installation freeze randomly. Thanks! What a week! Wow. Is there a place to download the ZIP file of 2.166? Not that I am aware of. Linux is not setup that way. Now if they were to make a .DEB file that would be another story. That is how Debian is setup and SteamOS is based off of Debian. But to get the newest beta you could setup the beta repos instead of the stable one that is the only other way I know of. I myself try and stay with the stable versions for my main gaming rig but my other rig is for testing so it has the beta on it.